Telemarketing is hard enough without failing due to poor technique and approaches. So we’ve compiled 10 reasons why telemarketers fail. See how you compare in terms of your preparation and readiness to undertake a successful lead generation campaign using telemarketing. 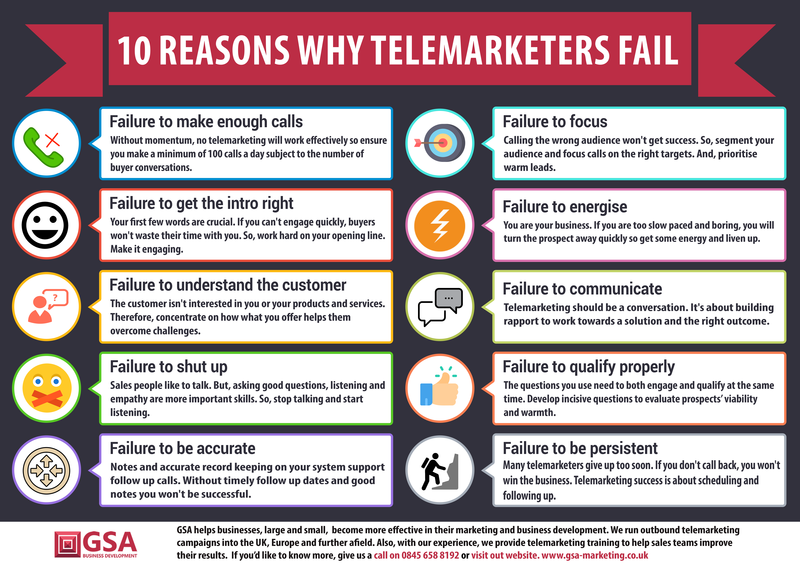 We have created an Infographic with the top 10 reasons why telemarketers fail, please feel free to like comment and share the infographic with your network. What’s the Best Way to do Telemarketing?